The Contiburette Digital Bottle Top Dispensers offer high accuracy, compact low weight, continuous operation and individual calibration to user specifications. The valveless dosing system insures minimal dead volume and high accuracy. Parts made of Al2O3 and PTFE for excellent chemical resistance. 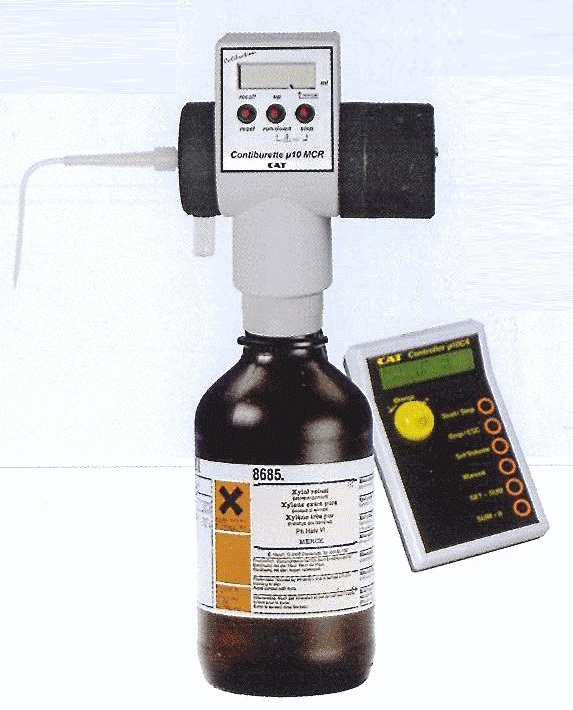 Calibration function to provide accuracy with liquids other than water. Reservoir adaptprs available to fit most laboratory bottles. 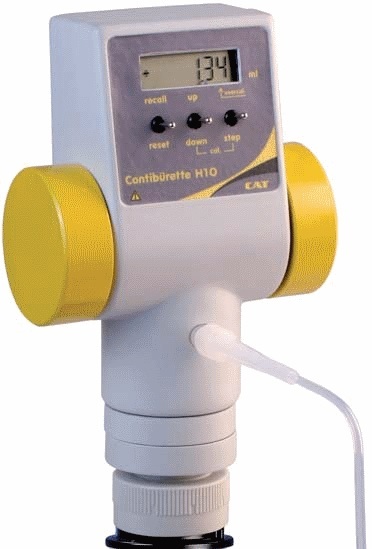 Manual Contiburette Dispensers Model µ 10H and Model µ 20H operate by rotating a hand wheel. They are powered by two 1.5 volt AA batteries that give more than 500 hours of continuous operation. Motorized Contiburette Dispensers Model µ 1D, Model µ 10D, Model µ 10DR, Model µ 20D and Model µ 20DR have an RS232 interface so they can be operated remotely using a PC or a remote controller.